With only a couple weeks left in July, we're now 6 months away from Southeast Louisiana's biggest annual races. 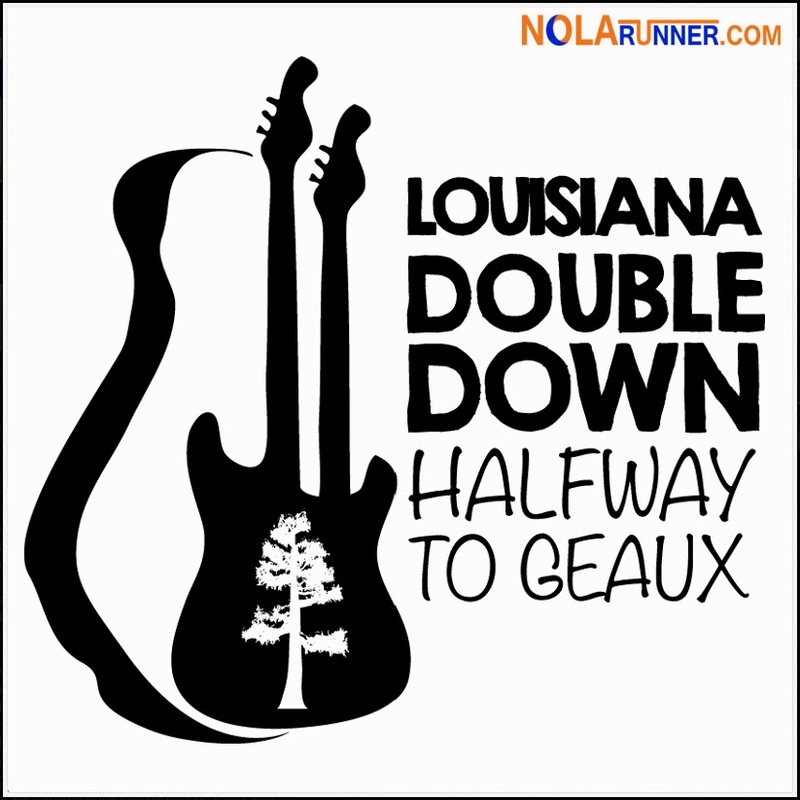 To celebrate having "Halfway To Geaux" 'til race day, The Louisiana Marathon and the Rock 'n' Roll New Orleans Marathon & Half Marathon are hosting parties in their respective cities next week. In attendance at both events will be two very special guests! Runners at the parties will have the opportunity to meet and greet with living legends of the running community. In attendance in Baton Rouge will be Olympian and former number-one marathon runner in the world, Frank Shorter. Mr. Shorter won the gold medal in the marathon at the 1972 Summer Olympics, and is credited with igniting the running boom in the United States. Also attending the parties in both Baton Rouge and New Orleans will be Bart Yasso, Chief Running Officer of Runner's World Magazine. Bart has run on all seven continents, received a lifetime achievement award from Running USA, and serves as a sought after event speaker around the world. Meet at 5:30 p.m. / Run at 6:15 p.m. Following the 6:15 p.m. fun run, Mr. Shorter and Mr. Yasso will announce the brand new Louisiana Double Down opportunity for 2015. 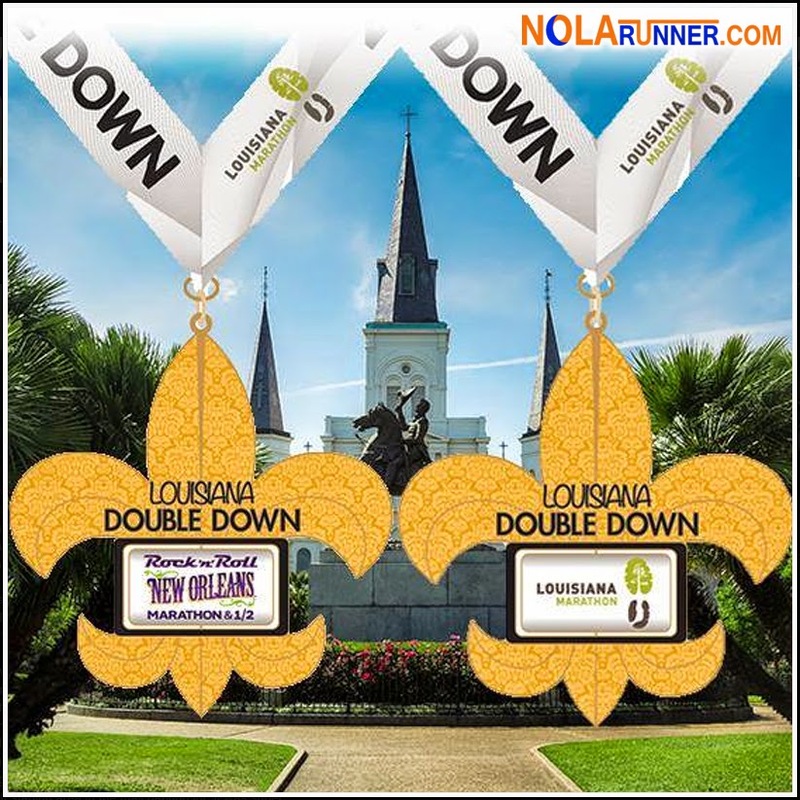 With The Louisiana Marathon and Rock 'n' Roll New Orleans Marathon being a week apart in late January, organizers have partnered to encourage participants to run both events and earn extra bling: The Louisiana Double Down medal! This initiative will also invite out of town guests to travel to the area and spend a longer time enjoying southern hospitality. Want some insight on these two races? Read my recap from the 2014 Louisiana Marathon HERE, and my recap from the 2014 Rock 'n' Roll New Orleans Marathon can be found HERE. For more information on The Louisiana Marathon, visit their official website HERE. More information on the Rock 'n' Roll New Orleans Marathon & Half Marathon is available HERE. Registration is now available for both of these great events! For the Louisiana Double Down, participants need to register for both events with the same First, Last name and contact information. Participants do not need to be a registered Heavy Medalist to receive this medal. Participants must complete the Rock ‘n’ Roll New Orleans Full or ½ Marathon to qualify. The 2-Person Relay does not qualify to earn the Louisiana Double Down Heavy medal. Medals will be mailed 8-10 weeks after the 2015 Rock ‘n’ Roll New Orleans Marathon & ½ Marathon. More info available HERE.